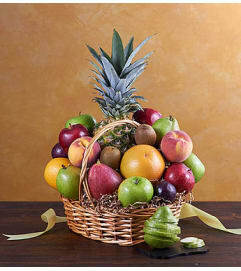 Send your best wishes with a gourmet greeting they won’t soon forget! 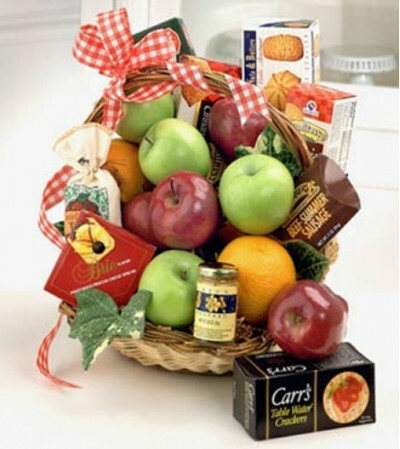 Our gourmet basket is chock-full of fresh apples and oranges, sausage, cheese, crackers and cookies for a taste sensation that makes every occasion delicious! 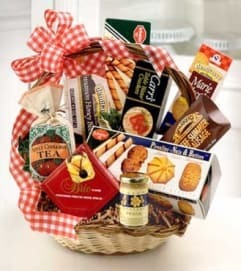 Fresh apples and oranges, sausage, cheese, crackers and cookies in a beautiful basket.